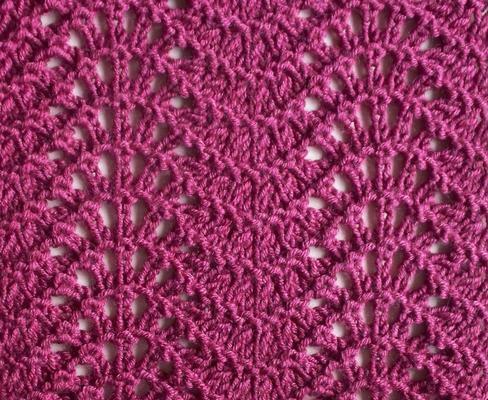 This pattern comes in many, many variations: with or without purl ridges; with more or fewer plain rows between the pattern rows; with more or fewer yarn overs in each repeat. 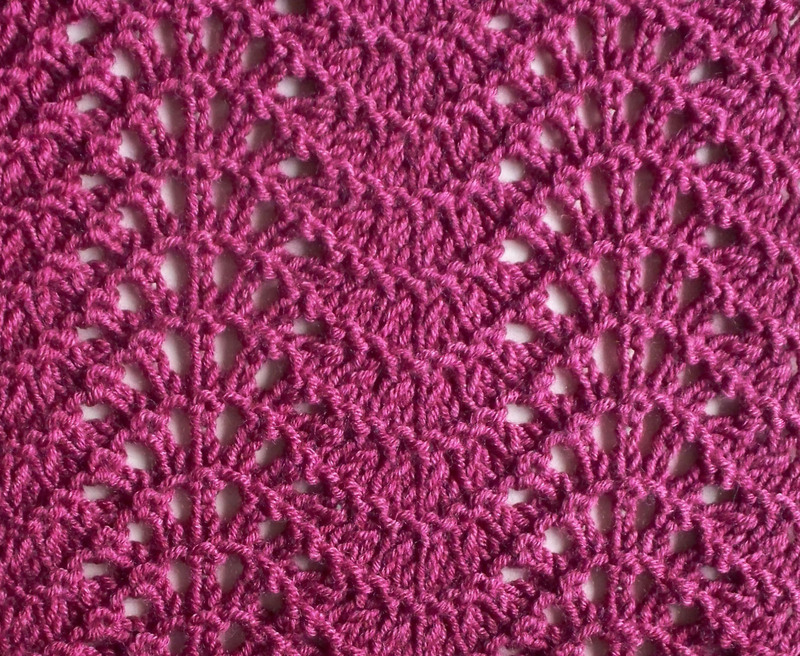 The structure of the pattern rows – groups of yarn overs flanked by groups of decreases – is the common thread. This structure creates a fabric with graceful waves, perfect for highlighting with a bit of color. Shown with a cast-on count of 40 stitches. Row 3: K3, *[k2tog] 3 times, [yo, k1] 5 times, yo, [k2tog] 3 times, repeat from * to last 3 sts, k3.